Ever heard a Christian lament that at any given moment in time, God might just decide to “take” their life? For one, God isn’t in the business of killing His people. He is the Life Giver, not the Life Stealer. And two, why would He tell us over and over and over again the many different ways we can extend our time here on earth? 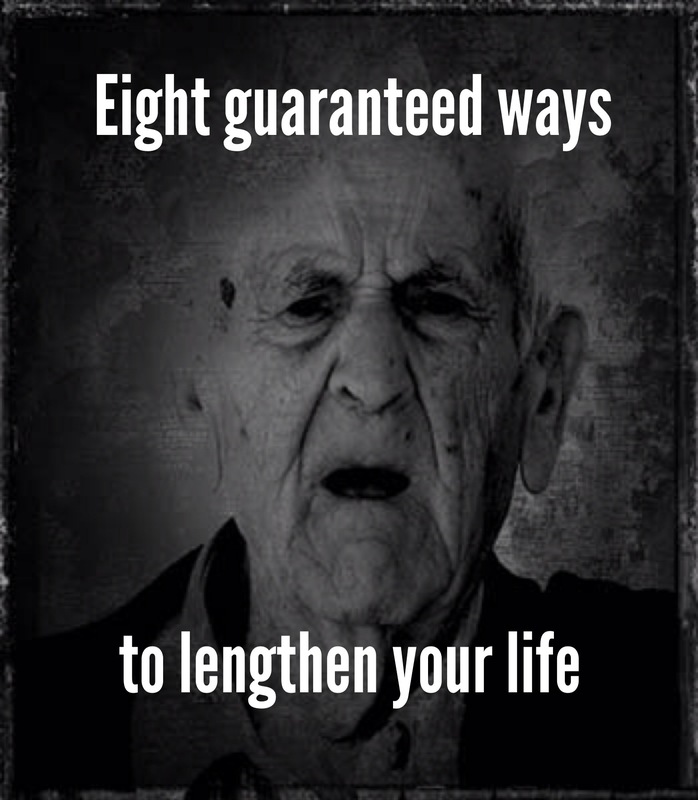 Here are eight guaranteed ways to lengthen your life, according to God. Number 9 was a bonus. I figured that most of us would rarely find ourselves in that sort of situation, so we all have eight applicable ways to lengthen our lives, and the avian biologists reading this got an extra one thrown in. It’s worth mentioning that Ephesians 6:2 reminds us that the commandment to “honor your mother and father” is the first command with promise. These are eight promises (or nine, depending on your affinity for birds) that God has made to you. And assuming we can trust God at His Word, this is definitive proof that God wants you to live a long, satisfying life. We have a choice before us. We can choose to believe the nonsense that a few preachers are spouting out. Or, we can choose to believe God.